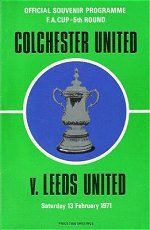 Colchester United recorded probably their best-ever victory when they beat mighty Leeds United 3-2 in an FA Cup 5th Round tie at Layer Road. Colchester lost 0-5 at Everton in the quarter-finals. A far more embarrassing result for Newport County in the FA Cup. 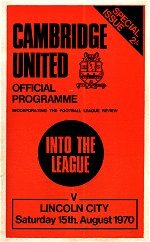 They were beaten 6-1 by Barnet - then of the Southern League - in a First Round tie.